When the player characters in my Nevermore campaign were still low-level, I needed adventures to fill in the gaps. Many have complained about the Basic series module, Castle Caldwell and Beyond, but I have been able to use some parts of it. The Castle upper level is pretty decent in my opinion, but the dungeon below the Castle was just silly. I decided I wanted a more reasonable (and challenging) dungeon, so I created my own. Click here to download the PDF version of my "alternate" dungeon level. 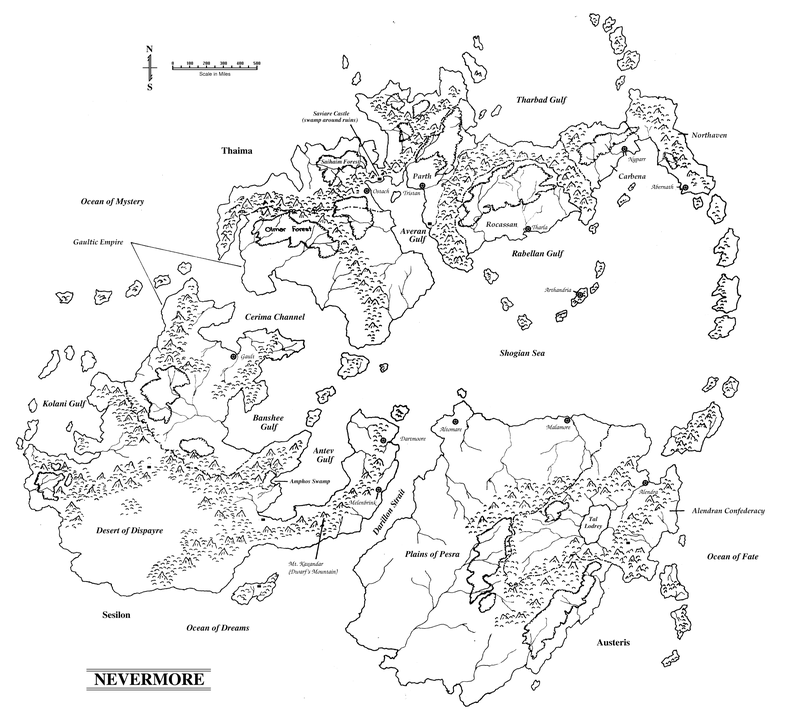 The World of Nevermore (just the "Wyrld" to it's inhabitants) is my current AD&D 2nd Edition campaign world. Here I will post some of the campaign materials I have created for this world over the past thirteen years.